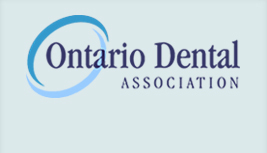 The Bay of Quinte Dental Society has a dentist available 52 weeks of the year to provide emergency dental treatment for patients who can not reach their own dentist. An emergency would be trauma (e.g. an accident), bleeding or swelling. A toothache due to long-standing neglect may not be viewed as an emergency and should be attended to during regular office hours. The on-call dentist may or may not be a Belleville Dentist or a Trenton Dentist as call is covered by dentists from Picton to Madoc, and Brighton to Deseronto. You may need to travel for this service. If you have been in a serious accident and/or have facial swelling and you suspect that the problem may involve more than just your teeth, please go immediately to the closest local hospital emergency department. Call your own dentist first. He/she should be the first in line to see you if you have a dental emergency. You can also call one of our member dentists. There is a fee for using this service. In order to prevent dental emergencies as a result of athletic injuries, the BQDS strongly recommends the use of athletic mouthguards for vigorous sporting activities (e.g. football, hockey, basketball, etc.). These can be obtained from your dentist and should be custom-fabricated for a proper fit.